So, you may have noticed that the year has come and pretty much gone without a single J-Dubb's Theatre video. The fact is, I have other obligations, and J-Dubb's videos have had to step aside. This is something I've seen coming for the past few years, but change can be difficult, and I delayed it for as long as I could. On the other hand, J-Dubb's Theatre is not ending, as I plan to post to this blog more frequently. I just don't have the time to make videos these days. When I started making videos, it was a fun hobby. I was a blogger, studying graphic design, and I thought it would be fun to extend my blog into the YouTube world. I developed the ambition to become one of the top YouTubers, and collaborate with the other top YouTubers. Eventually, YouTube videos took precedence, and blogging dwindled. Over the years, with the partnership program, and trips to Vidcon, YouTube grew from a hobby to an entrepreneurial endeavor. Much like Phillip DeFranco, I wanted to expand J-Dubb's Theatre from a YouTube channel, to an enterprise. I worked a part time job, while struggling to gain traction in the YouTube world. Time went by, and my future was uncertain. I was tenacious, and didn't want to give up. I read "Think and Grow Rich", and saw YouTube as the modern equivalent of the radio enterprise which was burgeoning at the time the book was written. I didn't want to be the gold miner who gave up, just to have someone else find that I was mere inches from striking gold. But, I was afraid of going nowhere in life. So, my ambition became split, between, "keep pursuing your passion", and "put your effort into something stable". I just didn't know where I should put my efforts, and I went back and forth in committing to things. Gradually, me and YouTube began to grow in separate directions.YouTube began to feel like busy work. And the YouTube environment just wasn't what I had originally signed on for. I didn't recognize it anymore. Ironically, as I felt myself "jumping the shark", My subscriber count began to grow faster than it ever had, something which made it difficult to step away. After all these years, my channel was finally growing, but I just didn't have the YouTube juice in me anymore. Earlier this year, it came time to commit to something. When YouTube ended my partnership, I decided to let that be the deathnell, and I finally made the decision to walk away. While I maintain my entrepreneurial spirit, I've shifted my focus, and for the first time in years, I'm experiencing progress in life. I toyed with the idea of coming up with a finale. I would've had the J-Dubbles move on with their lives. I even had a tear-jerker in mind, in which one of the J-Dubbles dies. (Maybe you're glad that idea didn't pan out.) I was going to conclude things with the return of Belphegor. There would be another tear-jerker, where I take Spenser to a new home, while I go off to deal with Belphegor. At some point, my house blows up, and furniture is strewn all over the place. The Time Traveling wristband comes into play somewhere, too. The series ends with the conclusion of J-Dubb's Theatre videos. Well, I didn't really have the time to do anything like that, but the last video I uploaded, a montage of ten years of videos, turned out to be pretty fitting as a conclusion to my channel, even though I hadn't planned it that way. 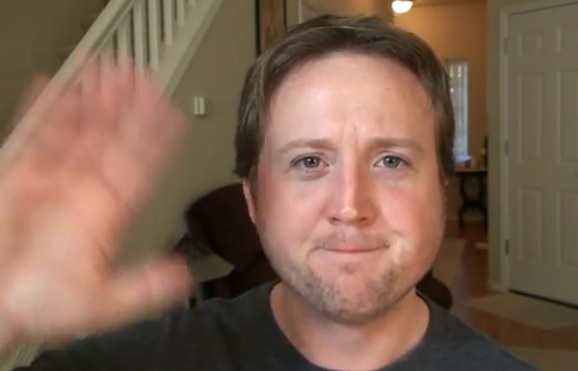 Will J-Dubb's Theatre videos return, someday? Who knows. But at the moment, it's time to say adieu. I'll see you around the blog.